West Des Moines is shopping. West Des Moines is eye-catching hotel rooms. Nightlife full of vibe. Catch four major Greater Des Moines shopping districts—all within West Des Moines city limits. 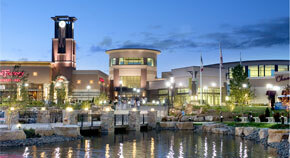 Jordan Creek Town Center. Valley West Mall. West Glen and Valley Junction. Locally-grown foods. Locally-owned restaurants. National flavor favorites. Biaggi’s. Blue Tomato Kitchen. Fleming’s. And many, many more! Catch it all in West Des Moines.